“Falcon Cross Section” by Jeremy Ennis. 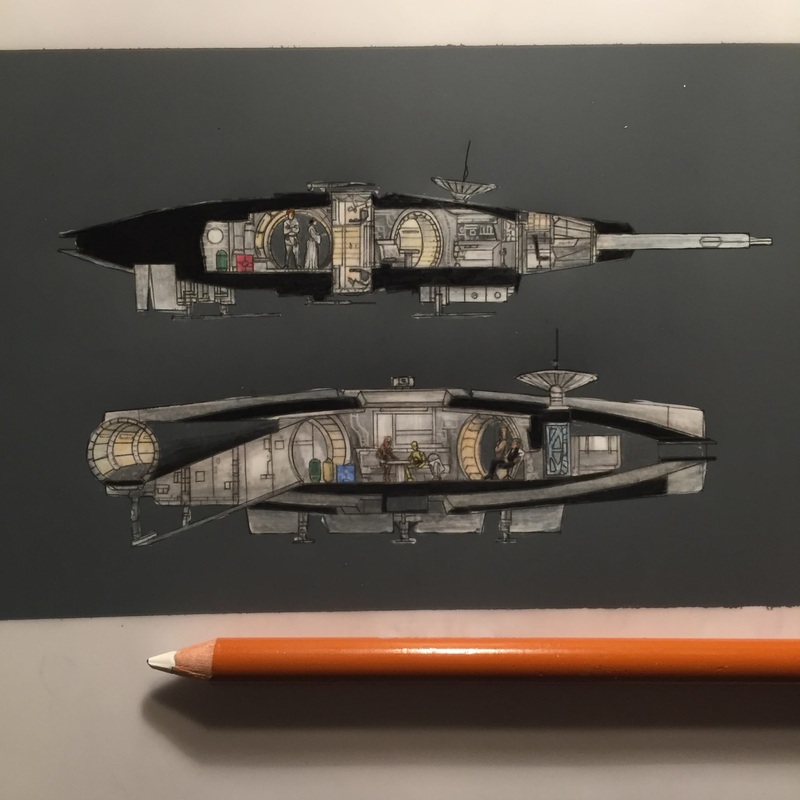 I recently bought four Jeremy Ennis Millennium Falcon Microart drawings and am thoroughly impressed by his work and would recommend him to anyone. His latest drawing is “Falcon Cross Section” and is a rather nifty version of Joe Johnstone’s original blue print of the Millennium Falcon for Star Wars. The entire drawing is 6″ by 8″. At $100 plus shipping i couldn’t let it go, so i snapped it up. This entry was posted in Art and tagged Art, Jeremy Ennis, Millenium Falcon, Millennium Falcon, Star Wars. Bookmark the permalink.